Guest blogging is highly misunderstood. A lot of people get the wrong idea about it. Even though it can be a powerful tool for online marketing, many people are creating and submitting junk blog posts; and one out of ten blogs are actually posting low quality content. Many people take guest blogging for granted because there are blogs that publish anything without really going over its content and running it through a good editor; because of this, these writers don’t give their best when submitting. If you’re guest blogging, is it because you don’t have enough quality content to run your own site? Absolutely not. So, why should you be lazy when you submit to other sites? In fact, guest posting can be really beneficial to writers. Listed below are a few reasons why guest blogging is actually a great idea. Writers tend to pour their heart and soul into their writing; so much, that they put on these coke bottle glasses and sometimes don’t realize a few of their own errors that may actually need proofreading and editing. No matter how emotional or inspirational your content is, it will be of no use to your readers if they cannot actually read it. The great thing about guest blogging is that it allows you to receive feedback from other writers. They may give you an honest critique about your work and how you could improve. Because you are submitting to another person’s blog, they will want your content to be as perfect as possible so that it increases their rapport amongst their readers. They will want to ensure that what they are providing to their readers is quality content. So, the more you learn from other fellow writers, the more you can improve your own writing. The more you guest blog, the more exposure you will be getting; especially if it’s guest blogging for an already popular site. Your online presence will become known and soon there will be links circulating to go and view your post. Throughout social media, people are reblogging, retweeting, and sharing links on their own social profiles. This kind of sharing is how posts go viral. Once you go viral, there’s no going back. Having a successful guest post, for an influential site, will leave people more curious about your other works. Most of the time, if people like the content you post, they feel more entitled to follow your personal social media accounts. As people become more aware of your work, you’ll begin to see more traffic on your own blog. You can develop somewhat of a fan base where people may actually be waiting for you to post more content. For a lot of freelance writers, the more traffic that is going through their posts, the more money they make. The quantity of traffic isn’t the only important factor though; it is the quality. If people are clicking your post and staying on there for a few seconds, then does it really count? You want your followers to actually read your content. You may see all these successful bloggers that have their work published all throughout the internet. Seeing this may discourage you and force you to believe that because you’re not as successful as them, right now, it means that you must not be a good writer. Well, you’re wrong. Even the most influential bloggers started at the bottom. They were able to get where they are now because they worked on building their reputation as writers. One of the ways to increase your credibility is by building a great portfolio; and this is how guest blogging can be beneficial to you. If you guest blog for many different blogs, you’ll have more content to show. You’ll be able to provide different links to different websites showcasing your content. This will increase your credibility because if your work is good enough to be posted on someone else’s blog, it must be quality content; and your readers will see that. Every writer has their own niche. However, many other writers could also have your same niche. Because of this, you will want to be able to set yourself apart from the crowd and develop your authority. You need to show people why they should be reading your content, instead of someone else’s. With guest blogging, you’re able to prove your knowledge, of your niche, without having an already popular blog. Some bloggers will tell you that it took them years to build the rapport that they have with their readers; others will tell you it took them less time. The truth is there is no set time limit. 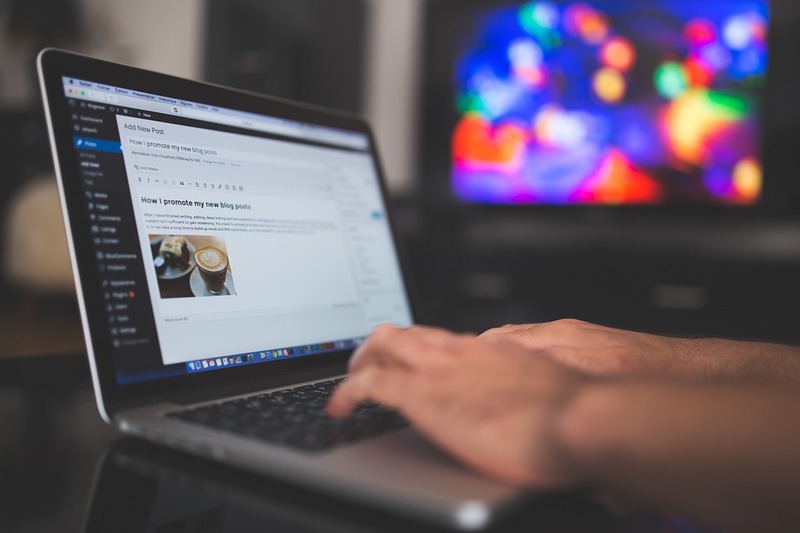 Guest blogging will give you the opportunity to demonstrate to readers that you know your topic; and show that top bloggers can vouch for that.